This was the text message from my husband, working in the Mpumalanga Province of South Africa. “Yeah, right.” I thought to myself. That’s a little far-fetched. 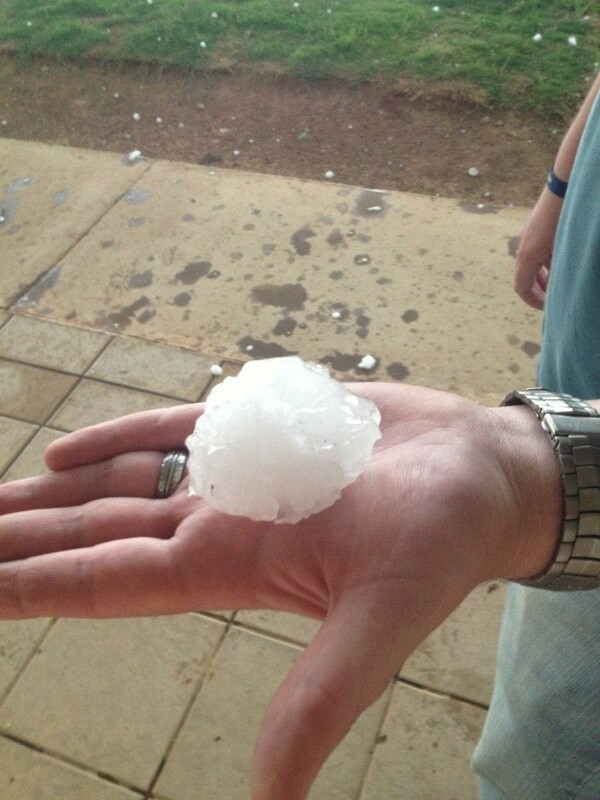 A small baseball size hail ball, but nonetheless impressive! But sure enough, he followed it up with a couple photos of guys holding the hail in their hands. Not far off. I couldn’t believe the size of this hail! 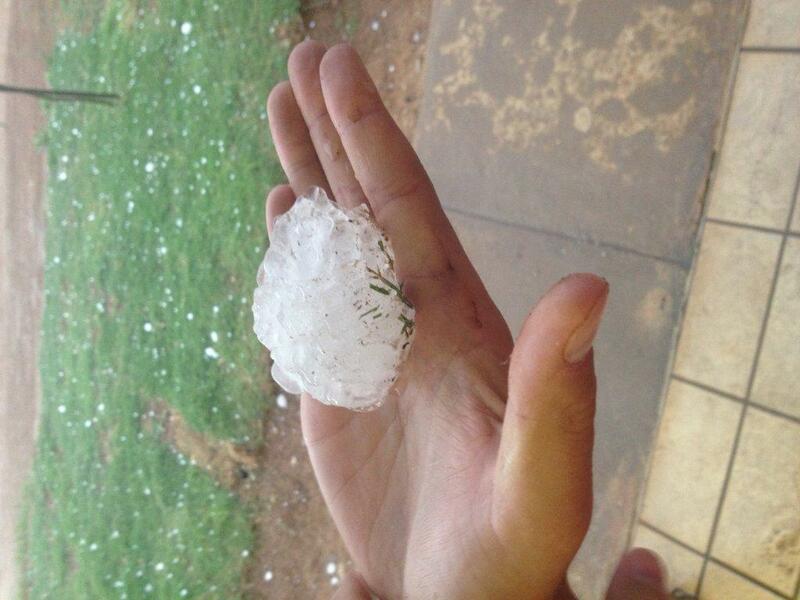 The storm eventually made its way to where we are living near Pretoria (Gauteng Province) and although hailstorms are normal for this time of year, the hail was unusually large. 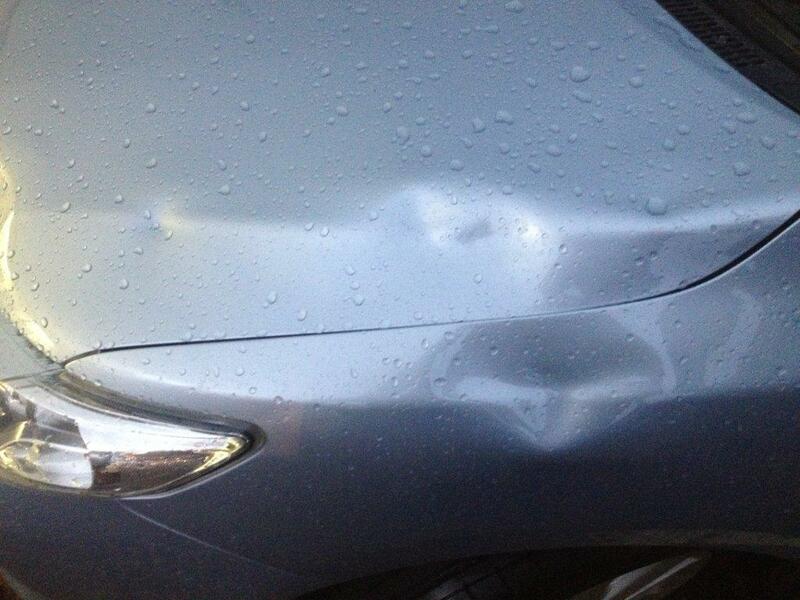 No exposed car was safe from hail damage. In the states, most of the times we’ve encountered hailstorms, we were also watching for a tornado. 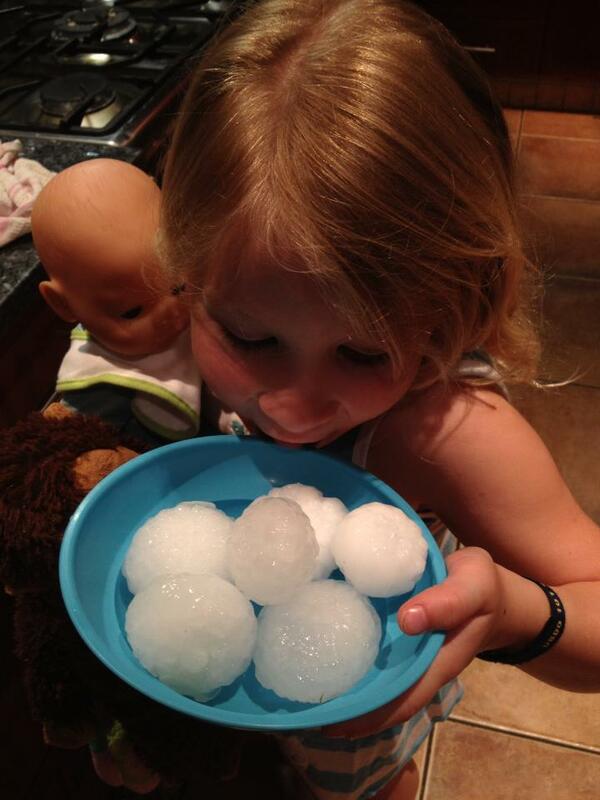 Here in this area of South Africa, we don’t worry about the tornadoes, but severe thunderstorms and lightning accompany these little car-busters. 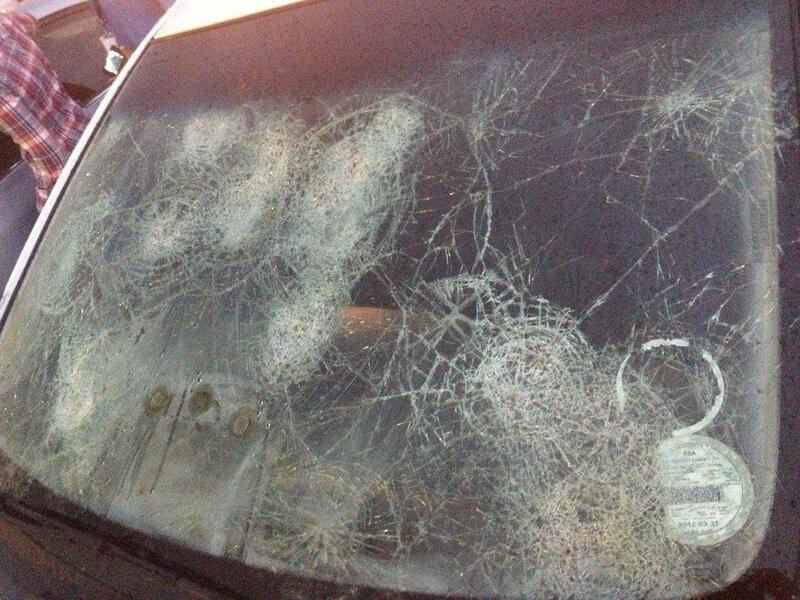 The windshield industry saw a sudden upturn after this week’s hailstorm! I’m not going to go into the science of hail formation. You can either wikitardia that, or better yet, How Stuff Works. The hail had reduced its size to golf balls by the time Kurt reached home, and we stood in the doorway as the balls pelted our tin roof and cannonballed themselves into our swimming pool, spraying large plumes of water as they submerged. I’ll leave you with this nice little video my husband took at his worksite of the hail coming down. Happy Friday, dear readers, whatever your weather! Strewth! Trust all is okay for you…. Holy Hail !! We had a nice hailstorm earlier this summer with some of them around an inch in size…thought those were plenty big enough! Sure hate to get whacked on the head with one of those you had there!! Hope your wheels were in the garage. Wow I hope you escaped without much if any damage!! !